You can read about that sort of stuff elsewhere though. Apparently Apple has been testing their CDMA iPhone since 2008, and finally has a chance to roll out a new feature in iOS 4.2.5 that (I assume) AT&T wasn’t too keen on having: portable hotspot. You can flip a toggle switch in the Settings app and broadcast a WiFi hotspot for up to five devices. You can also set the Personal Hotspot up to use Bluetooth or USB. Obviously, the latter two are for one-to-one connections. Essentially, it looks like this replaces the “tethering” option found in the current iOS build. An Apple rep I talked to believed this was the case as well. Anyway, I won’t rehash all of the gory details here. You can read up on them from my sources. Just last week the much-anticipated Infinity Blade iPhone game from Epic Games was released. The first to use the new iOS port of the Unreal Engine, it’s stunning graphics have been a major selling point for the game. The big news is just how amazingly successful the game has been thus far. In its first five days, it earned a stunning $1.64 million. Quite an achievement, breaking Cut the Rope’s record of $1 million in its first ten days to boot. At $5.99 per copy, the sword-fighting app will thus have mustered over $1.64 million in sales for publisher Epic, whose studio Chair Entertainment created what is widely-hailed as one of the most technically impressive iOS titles to date. According to GamesIndustry.biz, at least 274,000 copies of the app were sold to produce that figure. This really shows how viable a platform iOS and the App Store are. There is a lot of money to be made, and the barrier for entry is very low in comparison to most other gaming platforms. At last, indie developers are finally on a fairly even playing field with the larger game companies. 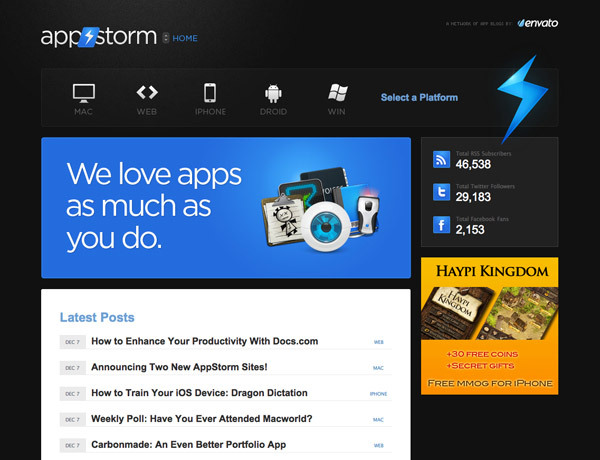 Also, the AppStorm main page has received a redesign. It’s simple, matches the rest of the site, and I like the icons along the top. 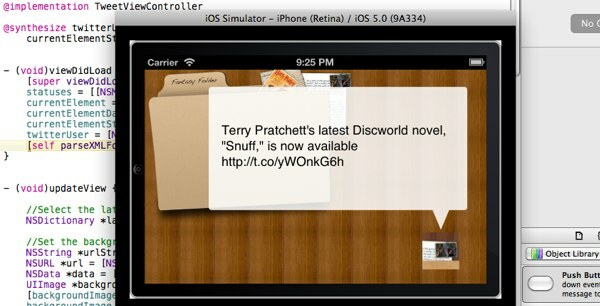 WPCandy, the prolific WordPress blog, has just released a new iPhone app for easy mobile access to their content. The interesting part isn’t the app so much as their “reverse launch” deal. The app costs $0.99 normally, but they are charging $5.99 instead for the first few weeks. They’re sort of doing what Apple did with the original iPhone: dropping the price after the early adopters made them enough money to pay for the R&D. Why would we do this? We want to give you, the awesome WPCandy readers and community members, the chance to support what we’re doing here. 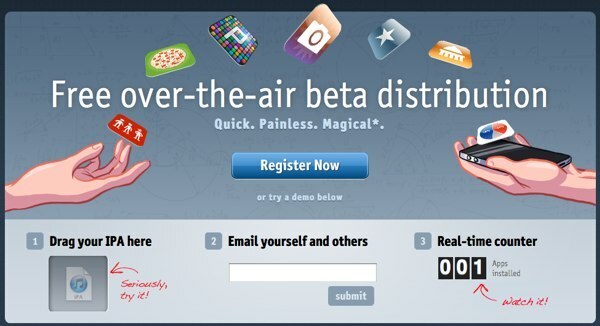 We run an ad-free site, with regular, high quality content containing zero affiliate links. We publish things that are of community interest (tutorials, comprehensive WordPress news, editorials) and we do it every single day. Many have called us crazy for not allowing advertising. They say we can’t make any money without ads. They say a community-driven site just doesn’t work. We want to prove them wrong. I still think they are a bit crazy for their no-advertising policy. (There’s nothing wrong with some minimal advertising, and companies like Fusion Ads help publishers make some good money by selling less ads.) Not so much that they don’t run ads, but their subscription to the pervasive attitude that ads are bad. However, I do like the reverse-launch idea. I don’t know if just any developer could get away with it, though. It takes a certain critical mass of users. With the iPhone 4, and later the fourth-generation iPod Touch, Apple introduced a much higher density of screen for their mobile devices. The Retina Display, has the same dimensions as its predecessors, but there are twice as many pixels per inch. This makes for sharp text, crisp images, and an overall better user experience. Looking at two iPhones, the new and the old, side-by-side, you can really see the difference. 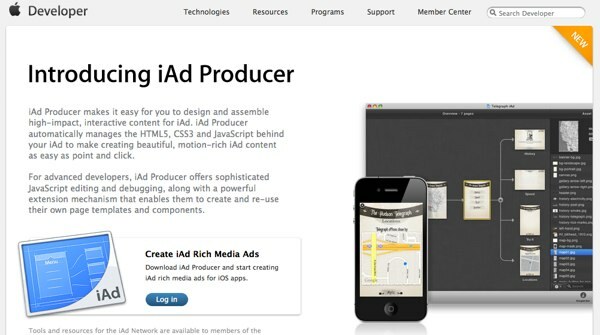 But this change presents a new challenge for designers of iOS apps. Now you need to have two versions of each image. You need to have a higher-resolution version for the newer devices, and a lower-resolution one for older models. 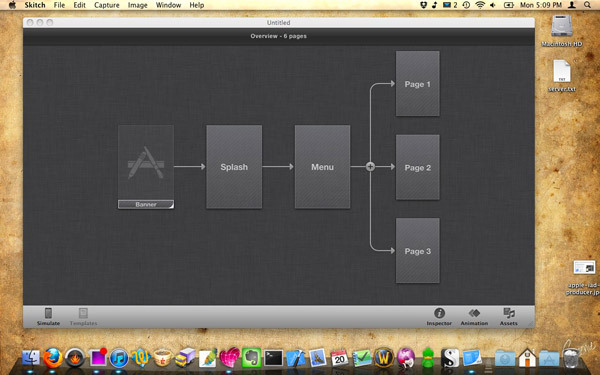 Smashing Magazine has a great new article on designing for the Retina Display. It covers the basics, such as how you need two images, one at 163 ppi and one at 326 ppi. (The higher resolution one is saved as MyImage@2x.png instead of MyImage.png and iOS chooses which one to used based on device compatibility.) You can find out about that anywhere online, though. The best part of the article is that it gives you some design advice for retina graphics. It suggests drawing with vectors and layer styles instead of plain bitmaps when you can, and the like. I usually draw simple elements directly in Photoshop using the Rectangle or Rounded Rectangle Tool. Draw circles using the Rounded Rectangle Tool with a large corner radius, because the ellipse tool can’t snap to pixel. Layer groups can have vector masks too, which is handy for complex compositing (option-drag a mask from another layer to create a group mask). More complex objects get drawn in Adobe Illustrator to the exact pixel size, and then pasted into Photoshop as a shape layer. I have an additional tip while we’re on the topic. 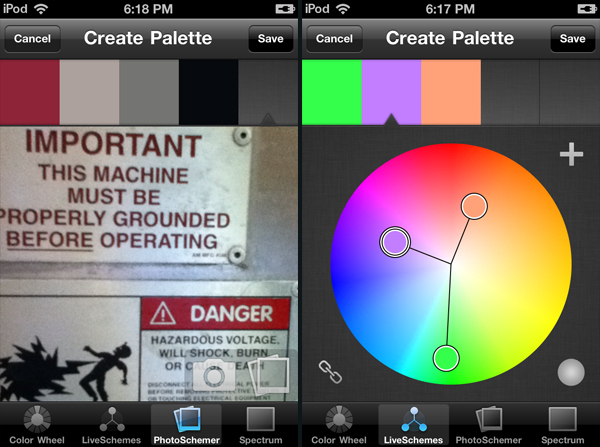 When I create graphics for iOS, I design for the Retina Display first. Then I scale the image down for the older devices. It’s quick, it’s easy, and I can use all the bitmaps I want. Lots of websites now have mobile versions that optimize their designs for speed and ease-of-use on the iPhone, reducing scripts and designing for the device’s smaller screen. They usually use some sort of browser detection script that loads a different template on the mobile device. Sahil Lavingia, creator of the Dayta app, has a quick tutorial on how to optimize your website for iPhone in 10 minutes…using only CSS. I haven’t had a chance to try it out for myself, but it looks fairly simple.